Today is Perfect Picture Book Friday where I link up with Susannah Leonard Hill’s fantastic group of writers who contribute a picture book review and related resources. Parents and teachers can find the best of the best in picture books…a little synopsis, a thoughtful review, and an activity and/or resources to extend the learning experience. This is a great way for parents and teachers to preview a book before they take it out of the library or spend money buying it. My selection today is another classic picture book recommended in Show Me How!…this one from 1955…the author/illustrator, Taro Yashima, won the Caldecott Honor Book Award. 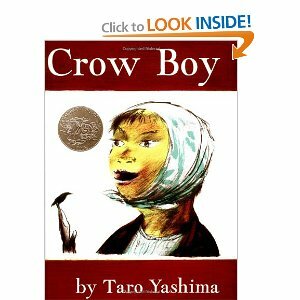 World Read Aloud Day is coming up on March 7th and I thought that Crow Boy would be a perfect choice to get us all in a global awareness mood. Themes: Celebrating the uniqueness of each individual, bullying/teasing, mastering tasks and skills, positive attitude, goal-setting, fitting in. Synopsis: Many years ago, in a small village school in the countryside of Japan, a young boy attends school. Chibi is always perceived as stupid and is treated as an outcast by the other students. When Mr. Isobe, the new teacher, observes Chibi’s strengths and talents (the boy is a wonderful artist and is also the only person with perfect school attendance even though he has to walk seven miles to school each day), he encourages the boy to participate in the school pageant with an imitation of the voices of crows. Does Chibi’s performance have any effect on how the children perceive him? Remember the talent show in Oliver Button is a Sissy. Wonderful illustrations give the reader the sense of the small rural area in Japan…I love books that give young children a window on the world. The story addresses many important issues as well…bullying/teasing, teacher recognition and encouragement of a student’s gifts and talents, overcoming obstacles in order to achieve one’s goals…as relevant today as it was almost sixty years ago when it was first published. Although Crow Boy had a difficult time expressing himself verbally, he was able to do so more easily with his artwork. 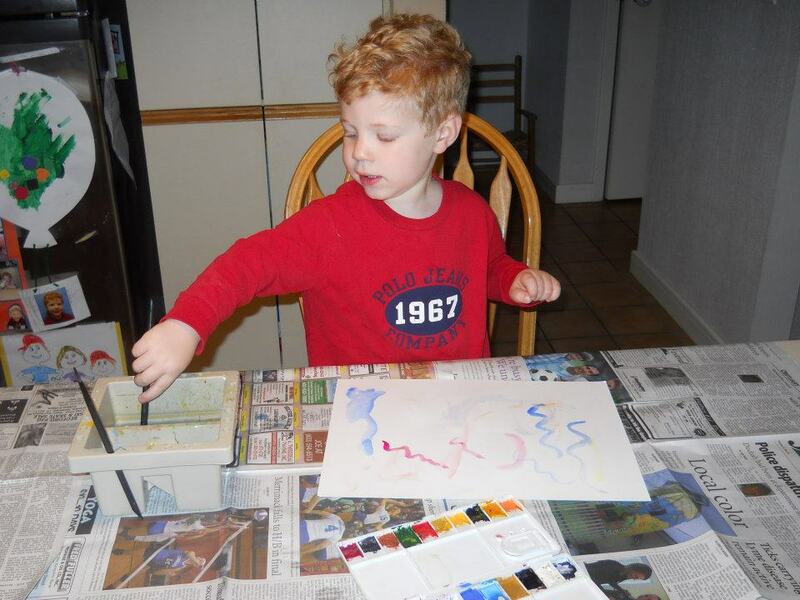 Painting is a wonderful way to allow a young child to express his feelings and to encourage his creativity. You will need: Paper (construction paper or grocery bag cut open), black and white non-toxic tempera paint, brushes (or Q-tips) and coverups to protect work surfaces and clothing. 1. Cover the work surface and your clothing to protect from splatters. 2. Pour a small amount of black and white paint into two separate containers. 3. 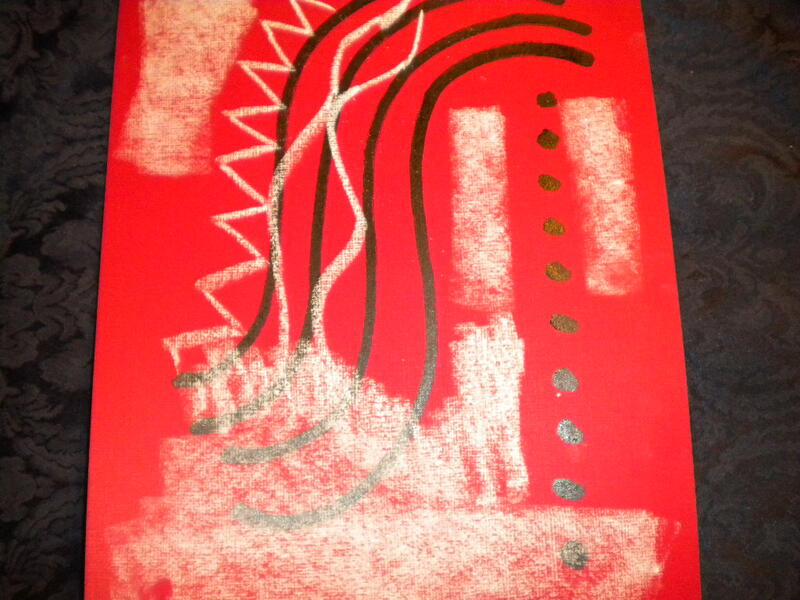 Let your child paint several pictures using different size brushes and/or Q-tips. 4. When dry, hang up this amazing art. Crayola official website with lots of arts and crafts activities and print-outs for kids. Website for the Japanese American National Museum where you can purchase the documentary narrated by Mr. Yashimo, Golden Village. You can go to LitWorld’s website to get more information and/or register…there will be events online and in different locales around the world. This entry was posted in 2012, Book events, children's picture books, Crafting with Children, LitWorld, Perfect Picture Book Friday and tagged Caldecott Medal, Crow Boy, Susannah Leonard Hill, Taro Yashima by viviankirkfield. Bookmark the permalink. I am not an artist but I so would love to learn how to paint ever since I was young. But we didn’t have resources and budget was extremely focused on the basic needs so I never got to explore my creative side. Thanks for a nice read once again! I can’t believe I have never read this wonderful book! It sounds fantastic. And I just loved your suggestions for activities. Especially the comments on painting. Yes, let the child use their own creativity, not the parents. Love it. Great review and thanks so much for the LitWorld link! You know, Loni, it seems that many of the books I’ve reviewed are new to most of the PPBF group…although they are old classics. This makes me so very happy…to be uncovering these treasures so new generations will enjoy them. 🙂 And the benefit is not one-sided…I am discovering all the new titles that many of you recommend and that I’ve never read. A WIN-WIN situation, for sure!!! Glad I mentioned the upcoming World Read Aloud Day and LitWorld…hope everyone who can will participate in some way. It does sound wonderful and also the things the teacher got him to do were very creative. He didn’t just say everyone should walk to school like Chibi, he gave him something really interesting to do. Super choice! Thank you, Catherine. I love books with messages that are relevant to our children today. We all have unique talents and gifts…parents and teachers can help kids develop a positive self-image by encouraging each child’s unique strengths…instead of pointing out the weaknesses and labeling the child negatively…”you are so clumsy”, “you’ll never learn how to do that”, “why can’t you do that right”…how many times have we heard those words? World Read Aloud Day…every day should be “Read Aloud Day”…right? What a beautiful book. I never knew it existed. Adding it to my list. Can you imagine walking seven miles to school everyday? (Although, my mom claimed to have to do that.) Ha! The activities are awesome. Your review is too. Thank you! Thank you, Robyn…so glad you liked the book and activities. This book reminds me of Pearl Buck’s “The Good Earth.” I love books that completely immerse you in another culture. My boys are very interested in Japan right now thanks to the “Cars 2” movie. We’ll have to check this one out and try the painting as well. I have never even heard of this book and it sounds fantastic! I will definitely look for it. How important for children to find their own voice, and to feel like they aren’t alone. I love your resources and activities as always, Vivian – you do such a great job with them! 🙂 Thanks so much for sharing this book – I can’t wait to read it! This would have been a book I could have read as a child. Can’t believe I’ve never seen it before. The fact it has stood the test of time, must mean it’s a great relevant book. I like your acvities too — you are so creative. Finding classic picture books with great messages that are relevant today and matching them up with activities is what I am all about…even back in my babysitting days (back in the Stone Age of the early 60’s)…I was really popular (as a babysitter) because the parents knew I’d be reading and crafting with their kids, not watching TV or talking on the phone. Your resources and activities for this are amazing! Something for me to aspire to in my own PPBF posts. The book looks beautiful and I look forward to picking up a copy. Thank you! Thank you for this review. I haven’t been able to get my hands on a copy of this book, but I have seen it extolled elsewhere. Love the idea of being able to visualize that small, country village in Japan. The artwork on the cover is so clever. Great message. This book sounds excellent, and timeless. Thank you so much for your injunction to parents and teachers not to judge! That’s so important. Thanks for sharing your choice of books. This sounds as valuable for adults as for children. We all need to forgive ourselves our judgments about ourselves and others much less about what they do. You are so right, Clar! I was doing my reading/crafting program in a Montessori kindergarten the other day and the teacher was talking about doodling nad how it can release your creativity. Then I was watching an art video and the instructor encouraged you to just doodle a whole page…then see which doodles looked like “something”…this is especially good for those of us who were told we couldn’t draw when we were younger. What a lovely book, and such great activities to go along with it! I’d never heard of this book, but I sure want to read it now! It must be beautiful if it won a Caldecott Honor Award. It sounds like a wonderful story. A library list addition for sure. I agree…every library should have at least one copy. 🙂 And you are right about the Caldecott winners…they are beautiful books! I picked this book up at the PPLD Friend’s sale a few weeks OK. I grabbed the picture books with the Caledecott sticker. I agree it’s a great story and the illustrations are very nice. Glad you scored a copy of Crow Boy! I’ve never heard of this one before, but it sounds wonderful. You have excellent activities to go along with it, too! Thank you. What a wonderful book Vivian. I love the power and freedom creating art gives one. I used to love drawing in my younger days and when I have had a moment (of madness) to create something for work or whatever, I am always surprised by the results and comments I get. So important your tips for teachers and parents, as so often we hear those crushing comments. Bravo… and I hope you do put forward a programme, it would certainly be an eye opener. I am often amazed at what appears on tv these days. *rolls eyes*. Wonderful choice… and err..hum around my time to. I wrote a little poem for Marylin Warner’s Things I Want to Tell my Mother February Poetry Contest…I’ll be posting it on my blog Saturday or Sunday…it addresses that very topic of the effect parent’s words have on us when we are children. I really enjoyed the activity you included for this moving story. Happy to meet you in the PPBF world! I’ve never heard of this book, but it sounds wonderful. I’ll add this one to my list. I’m sure my daughter would enjoy the painting activity! Thanks for stopping by and commenting. I really enjoy uncovering these classic picture books…glad you liked the painting activity that goes with it. 🙂 Most children love painting…how old is your daughter?